Amazon has just made RDS data transfers easier and quicker. According to Amazon, starting February 26, 2019, Amazon Relational Database (RDS) for Oracle supports integration with Amazon Simple Storage Service (S3) for data ingress and egress capabilities. Amazon Simple Storage Service is simply storage for the Internet. This new feature allows RDS Oracle customers to easily, efficiently, and securely transfer data between their RDS Oracle DB Instances and Amazon S3. With Amazon S3 Integration, you can perform data access to migrate workloads into your RDS Oracle DB Instance. Previously, data transfers from an RDS Oracle DB Instance were more complicated and required; 1) an additional DB Instance, and 2) a connection between the two. Amazon S3 Integration does away with those 2 steps makes this process much more efficient, saving time, and as we all know time saved is money saved. Amazon Relational Database Service is a relational Database-as-a-Service (DBaaS) and is free for 750 hours per month. If you’re new to AWS, then you get to use the free usage tier for the first 12 months. Licenses Included – In this service model, you do not need separately purchased Oracle licenses; the Oracle Database software has already been licensed by AWS. “License Included” pricing starts at $0.04 per hour, inclusive of software, underlying hardware resources, and Amazon RDS management capabilities. You can take advantage of hourly pricing with no upfront fees or long-term commitments. In addition, you also have the option to purchase Reserved DB Instances under one- or three-year reservation terms. With Reserved DB Instances, you can make low, one-time, upfront payment for each DB Instance and then pay a significantly discounted hourly usage rate, achieving up to 48% net cost savings. Reserved Instances provide additional payment options: All Upfront, Partial Upfront, and No Upfront. BYOL – If you already own Oracle Database licenses, you can use the “BYOL” model to run Oracle databases on Amazon RDS, with rates starting at $0.025 per hour. The “BYOL” model is designed for customers who prefer to use existing Oracle database licenses or purchase new licenses directly from Oracle. BYOL enables an organization to maintain their previous investment in software yet take advantage of the benefits of a Cloud platform. However, be aware that Oracle authorized Cloud platforms do not calculate required licenses the same way it is done in an on-premise environment. 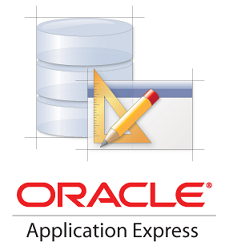 You can apply your Oracle licenses against this environment in a manner that closely matches the performance characteristics of an on-premise solution. Note: Some Cloud Platforms like Amazon Web Services and Microsoft Azure may require a greater number of licenses than an on-premise solution due to how Oracle requires licenses to be calculated on those platforms. There is a misconception that ‘IBM does not audit cloud’. This statement cannot be considered universal. Cloud describes different services and cannot be simplified in such a fashion. Let’s review what Cloud could be, and whether there is something to examine for licensing purposes. IBM provides several SaaS products, such as IBM Analytics (Cognos), Bluemix, or API Connect. IBM is aware of one’s usage of these software products because they host and invoice the client by the SaaS licensing metric whether it be users, subscriptions, or transactions. In a regular Software License Review (SLR), IBM does not audit these products. As they say on Game of Thrones ‘it is known’. For other cloud scenarios, where there is a Bring-Your-Own-Software-License (BYOSL) scenario, IBM would review usage. This may also be true when IBM is providing Managed Services, either on-premise, in their data center, or somewhere else. For peace of mind, check your agreement for the terms around the solution IBM has offered. Frequently, the client is responsible for licensing the software. Now that it’s been narrowed down to what is considered fair game for an IBM software audit – BYOSL, where can more information be found? First and foremost, always remember IBM’s sub-capacity/virtualization licensing requirements. This is essential for licensing virtualized environments, including those that are off-premise. Run ILMT on all of these to obtain your reporting to comply with IBM’s sub-capacity licensing terms under the IBM Passport Advantage Agreement (IPAA). ILMT will assist you with what a managed service or strategic outsourcing provider is doing with your IBM software deployments. From where you are, you may only know there are 10 instances allocated 2 vCPUs each of DataStage running in their environment. With ILMT agents deployed on your off-premise instances, it will report the 20 vCPUs and calculate the PVU licenses for DataStage and DataStage Non-Production for you. If you are audited, the auditor will request the two years of your quarterly ILMT reports that you’ve kept on file. There may be some verification to confirm accuracy, but overall you have adhered to IBM’s sub-capacity licensing and have the reports ready. The other circumstance you may have is running IBM software on an eligible public cloud infrastructure as a Service (IaaS) which is covered by IBM’s Eligible Public Cloud BYOSL Policy. Note, that after the list of public cloud providers: IBM, Amazon, Google, Microsoft, and Oracle at 70 PVUs per vCPU, there is additional language toward the bottom of the page. When you use a license entitlement according to this policy, you may not use such entitlements for any other purpose or in any other place at the same time. Also mentioned is if you are lucky enough to have an environment that IBM’s tools do not support, you would manually record the necessary information. This is similar to how IBM addresses ineligible ILMT technologies – don’t ignore your reporting responsibility and end up having your licensing assessed at Full Capacity. Need help determining if you’re in compliance with IBM’s software policies, or are you in an IBM audit, or want to avoid one? Contact Miro today to learn how we can help. Did you know that Oracle is raising its annual support uplift costs by 33% this year for many of its clients? Oracle typically charges its clients 22% of the first year licenses cost, per year, as a support fee plus an annual uplift of 3%. Oracle has confirmed with Miro that effective January 1st, 2019, the new annual support cost uplift will be 4% per year. Oracle contracts state the costs can be raised as high as 5% per year, so there is no need for them to formally announce this rate change. If your support costs were $1,000,000 last year, that’s an increase of $10,000 in additional support costs over what the increase would be if it were still 3%. Oracle support increases act like compounding interest, so that change from 3% to 4% would drastically increase the costs. Over 5 years, it would amount to an additional $164,566 in costs. Oracle has quoted some clients for the original 3% cost prior to January 1st, 2019, but the support renewal portal has the renewals at a 4% increase. Oracle has quoted some clients for the original 3% cost, but the support renewal portal has the increase listed at 4%. Miro can help with your Oracle support renewals, saving your organization significant time, costs and frustration. Our Support Renewal Management program will manage all of the logistical areas of annual support with Oracle to ensure timely review, validation and reconciliation of an organizations Oracle support contracts. We offer customized quoting and invoicing of support renewals on a departmental, divisional, project, product, application, or CSI basis. Miro also can provide options for renewals that Oracle itself does not offer. Learn more about our Support Renewal Management program here, or contact us as soon as possible to find out how you can save on your Oracle support costs. Introduced just last month, the new Microsoft Customer Agreement (“MCA”) is designed to provide customers with an easier method of procuring Azure. It effectively cuts out Microsoft partners from selling Azure and related products. Seeming to counter the Cloud Service Provider (“CSP”) program that Microsoft put in place back in 2015, the MCA can take much of the task of purchase support away from these providers and entices more customers to purchase directly from Microsoft. Microsoft’s CSP program grew rapidly after its introduction with several thousand partners and resellers participating. This move by Microsoft seems to be an attempt to shift those Value Added Resellers (VARs) from profiting through transactions, to profiting through pre-sales and post-sales services. The MCA is due to become available in certain regions in March 2019 and some details about it are still sketchy. So far, Microsoft has indicated that its customers’ marketplace experience will be enhanced. They’ve also suggested that this new program features more consistent purchasing and management, whether the purchase is executed with the customer’s existing partner, via Microsoft’s web portal, or directly through the Microsoft account teams. When the details are released, Miro will provide an update. There are some eligibility requirements. First, the MCA must be available in your region which includes the United States, Canada, and Western Europe as examples. Second, special terms and conditions that were included in your current agreement must be resolved or eliminated. Third, the products must be included in the program (and it is thought that the current selection will grow). And, fourth, the new MCA agreement – some eleven (11) pages long – and interspersed with links – is presented and agreed to electronically. Whether the MCA is right for a particular customer is an important question. A licensing expert can assist you in making that determination. Miro is not a Microsoft VAR. Contact us for an independent expert advice on your Microsoft licensing and subscription concerns. There’s a new buzzword that you may be hearing, both in technical circles as well as in the mainstream: Blockchain. While generally mentioned in reference to cryptocurrency, blockchain will soon be brought up in situations outside of the news you hear of Bitcoin rocketing upwards and plummeting downwards more than your average roller-coaster. From tracking financial transactions, to the maintenance of medical records, to providing reliable tracing of products and goods from source to customer, the technology has the potential to revolutionize many of today’s industries. Basically, blockchain is a growing ledger of informational blocks, each connected to that before it, and the one following, hence the block and chain parts of the name. This linking means that information cannot be altered or removed. All participants in the chain typically have access to and verify this single ledger, as part of their participation, which not only further increases the security of the information contained but avoids the issues associated with multiple centralized information ledgers, say those kept by a client, versus those kept by a manufacturer. The blockchain provides a single, immutable, source of verifiable information for those participants involved. How are Oracle, Microsoft, and IBM Getting Involved? As with any new data-focused technological development, one can reasonably expect that the three leading Database providers would at some point have an offering focused around blockchain. Oracle, Microsoft, and IBM have now each included BaaS or Blockchain as a Service within their platform offerings. This newer service is leveraging other parts of their more defined and mature business lines to provide blockchain services to their clients. Microsoft includes the unique ability to associate a particular participant in the network, typically identified by an address made up of a long string of letters and numbers, with their Active Directory system, allowing the potential ability to integrate with applications utilizing AD logins. Azure Blockchain Workbench currently supports the Ethereum blockchain network, as well as Hyperledger Fabric. Licensing of Azure Blockchain Workbench is based upon a number of underlying services and their associated costs. When a client selects workbench from the Azure marketplace, a standard template of services is deployed and the costs of those services are what define the monthly cost of workbench itself. This methodology is meant to streamline the deployment of the necessary infrastructure and service requirements in order to get a client up and running quickly and smoothly. Microsoft offers a free Azure account for trial purposes, though it is not exclusive to Blockchain. This account includes 12 months of popular free services, plus a 200 dollar credit to use on any Azure service for up to 30 days. This account also includes over 25 services that are always free for clients. If these features sound familiar, that’s because they closely mirror the same statements Oracle is making regarding their Autonomous Database Cloud service. Oracle has closely aligned itself with the Linux Foundation’s Hyperledger Project to provide clients with a complete blockchain platform. Oracle’s methodology for licensing their blockchain offer falls in line with their other current cloud offerings. Sold as part of their UCC or Universal Cloud Credits options, clients can purchase the service through the Pay As You Go, or Monthly Flex pricing structures, both based per 500 transactions. Oracle is currently offering 300 dollars in free credits, enough for up to 30 days of usage on their various cloud products, including their blockchain offering. Actual usage time will be dependent on the cloud services chosen. IBM has been actively engaging with partners as part of their blockchain strategy. They recently announced that a total of 94 companies have joined the Tradelens blockchain shipping solution, developed as the result of a partnership between IBM and Maersk. As with Oracle, IBM’s Blockchain Platform is also based on the Linux Foundation’s Hyperledger Fabric. IBM licenses their Blockchain Platform through subscription plans at two levels, Starter and Enterprise. Both of these levels involve two pricing aspects, the Membership fee, and the Peer fee. The Membership fee is required and covers the creation of organizations which hold a copy of the ledger and validate transactions. The Peer fee covers each additional node that also holds a copy of the ledger and validates transactions. The Starter membership is intended for Test and Development purposes, while Enterprise is intended for Pilot and Production purposes. IBM is offering 500 dollars in trial credits when customers sign up with their Starter Plan. These credits can be used against a client’s network and represent approximately 30 days’ worth of usage under the default configuration. Once the credits have been used, clients have the option to continue with the Starter Level plan and those associated charges, or move to the Enterprise Plan. Miro can help you plan and execute your blockchain subscription purchase at the best possible price with the right terms and conditions for your organization and business needs. Contact us today to learn more.